3. On your email you will receive a letter with a link. Go through it. If you did not receive the email, please check, maybe it got into spam. 5. Enter your email and password and click “Log in”. In the lower right corner you will see your profile. You have entered the site. Now you can make purchases, download free designs, write comments on the blog and chat on the forum. Perhaps you enter is not true letters. 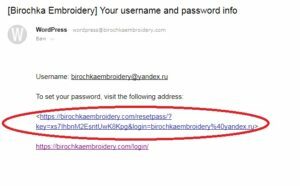 Try to copy your email and password and do not enter it manually. Copy your email and paste it into the correct field using the Ctrl V keys. Same with the password. If you succeed, then you entered the letter with an error. 2. Go to the shopping bag and press “Proceed to checkout”, еnter your name and surname. (At the moment, payment is possible only with the help of paypal) After that you will be redirected to your paypal, make a payment. 3. After the payment is completed, an email with a link to download the purchased file will be sent to your email. Stabilizers are often stiff sheets placed over (topping) or, more frequently, underneath (backing) your designs. In this article we cover the three main types of backing type stabilizers (cut-away, tear-away and wash-away) as well as two additional stabilizers that are a little less universal (heat-away and spray-on). Stabilizers help minimize a variety of issues including, but not limited to; puckering, stretching, uneven lines, crooked or mismatched stitching and sinking. This happens because many materials, cloth materials especially, can easily shift and bunch up as they lack the stiffness of other materials, like leather. This leaves a wider margin for error, especially if your fabrics are lighter. Placing a stabilizer underneath your fabric cuts down this movement and gives you a more steady canvas to work on. Backing and topping both fall under the category of stabilizers for machine embroidery and are just what their names suggest. Topping is typically placed over your design with the main purpose of preventing stitching from “sinking” into your fabric. Generally topping is only used with fabrics that are more “stitch absorbent” or textured and they typically come in wash-away and tear-away types. Backing, on the other hand, is recommended for every fabric, with very few exceptions. Backing helps your fabric maintain its physical and structural integrity while being embroidered and also allows your designs to keep their shape after being laundered. The focus of this blog post will be on backing stabilizers. Before starting you will need to consider the type of fabric you plan to embroider, specifically fabric stability, fabric density and stitch density. These three factors are the most important when selecting the right stabilizer. With denser stitch counts, the stabilizer needs to be sturdier. The less stable the fabric, the more stability you will need. The heavier the fabric, the heavier the stabilizer ought to be. Some fabrics may require two stabilizers, some may require none. Standard fabrics will usually just require one type of stabilizer. Your embroidery fabric is always your starting point so make sure you do your research on what stabilizers are compatible with your fabric. Cut-away stabilizers do not get totally removed upon completion, instead the excess is trimmed and the stabilizer stays attached to the fabric. They are quite versatile and are great especially for delicates, with the exception of silk. Many people prefer cut-away stabilizers for garments, because there are no jagged edges that can irritate the skin. However, they are generally not recommended for sheer or loose-knit materials, because they will be visible through these materials. Instead, you will need to use a polyester or nylon mesh cut-away stabilizer. These are made specifically to be invisible through sheer fabrics. Tear-away stabilizers are a great, cost-effective option and are the quickest and easiest to remove. They are simply adhered to the back of your embroidery design during embroidery with stitches, and then torn right off. These are best used with a sturdier fabric as the act of tearing may be a little bit harsh for more delicate fabrics. Tear-away stabilizers are categorized by weight, as most stabilizers are, so when you are working with heavier fabrics, a heavy weight tear-away stabilizer is required. Water soluble stabilizers are less universally used than cut-away or tear-away stabilizers. They are known for their flexibility, transparency and water solubility, so they are best for cases where your project requires no traces of the stabilizer to be left after embroidery. They are often considered the perfect ‘invisible’ stabilizer and are mostly used with either more delicate, sheerer materials or pieces that require constant wash-and-wear and stand-alone lace designs. One of the go-to stabilizers for fussier fabrics, heat-away stabilizers is perfect for pieces that are too delicate for tear-aways, too sheer for cut-away and non-washable lace. There are two types (woven and filmy backed). The woven stabilizers will flake off with heat and the filmy stabilizers will dissolve completely. Like wash-away stabilizers, heat-away stabilizers are less universally applicable than the standard cut or tear-away stabilizer as they do not provide as much support. A modern type of ‘invisible’ stabilizer, spray-on stabilizers are used to stiffen fabric temporarily without the use of any additional material. Spray-on stabilizers are perhaps one of the most convenient types, however, it is important to note that they are best suited for lighter fabrics that have less need for serious stabilization. Many embroiderers also avoid spray-on stabilizers when it comes to expensive materials, like raw silk, but this is simply an extra pre-caution.What is a Stabilizer? 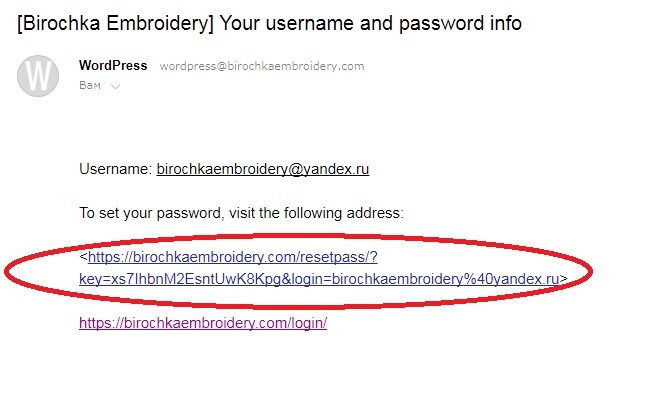 When you are purchasing designs from Birochka Embroidery, you can download them to your computer when you have completed the purchase. Graphics files such as pictures and embroidery designs are large and because of this are usually transferred in zipped files. You will need to unzip the file and extract your designs before you can use them. The procedure is that you first download the ZIP file, locate it on your computer, open it, extract the files and save them to wherever you keep your embroidery designs. The ZIP file you originally downloaded can then be deleted. Then when you are ready, open the unzipped design in your embroidery program, or send it to your machine for stitching out. How to Unzip: Locate your downloaded zipped file and double click on it. When your files have been extracted, which only takes a moment, you can navigate to the the folder you extracted them to, and you will see the embroidery file and PDF file inside. All embroidery machines have size limits.Some embroidery machines also have stitch limits. This refers to the amount of stitches that a machine can read at one time. It’s important to know your machine’s size limits when choosing designs. 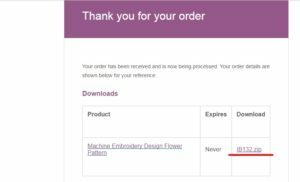 If you order designs that are larger than what your machine can stitch, your machine won’t read the design. In what format will I receive the file when I buy’ style? When you purchase design of Birochka Embroidery, you get a design in six basic formats: pes, hus, dst, jef, vp3, exp.